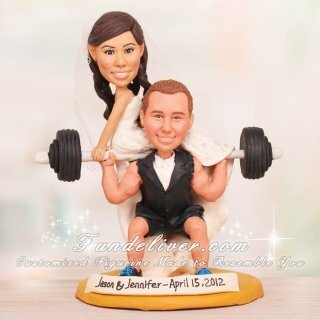 This is a completely customized work out theme barbell powerlifting wedding cake topper ordered by one of our customers. The groom is a pretty big guy and trains daily. They both work out together at the gym and this is the next best thing after his car hobby. 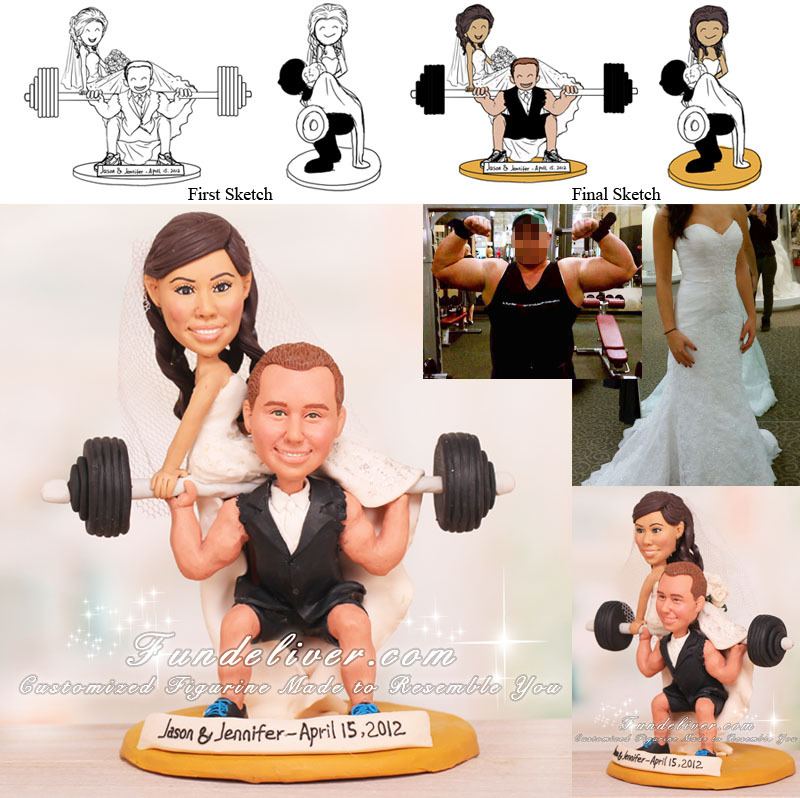 The bride would love to have the cake topper of the barbell powerlifting and herself sitting on it exactly how we did as this Bride Sitting on Barbell Powerlifting Wedding Cake Topper. And to have her hair in an updo and curled to the side with a veil. She would love to have her fiance have Nike Air Max's as sneakers. The groom is in a cut off tuxedo, and the bride is holding a bouquet of white roses. Some shimmery powders are added into her gown and rose bouquet to make the bride and groom cake topper more gorgeous.